A tree in Brazil which goes by the name “Jabuticabeira ” is widely known for its peculiar characteristic of growing fruits on its trunk. The name is derived from the Tupi word Jabuti (tortoise) + Caba (place), meaning the place where you find tortoises. The fruit “Jabuticaba” or Plinia cauliflora is purplish-black in color with a white pulp. The tree is widely grown in states of Minas Gerias and Sao Paulo, in the south of Brazil. Besides being a rage in Brazil, it is also widely consumed in Argentina, Paraguay, Peru and Bolivia. The fruit, as many people have reported, tastes delicious and its pulp is sweet and juicy. The skin has a sharp, acidic taste. The fruit “Jabuticaba” can be compared with a thick-skinned berry which ranges between 3-4 cm in diameter. The tree-Jabuticabeira- can reach 10-15 feet in height in California and 12 – 45 feet in Brazil, depending on the species, and its leaves, when young, are salmon-colored and they turn green upon attaining maturity. The trees are profusely branched, beginning close to the ground and slanting upward and outward so that the dense, rounded crown may attain an ultimate spread as wide as it is tall. The tree is highly adaptable and moist, rich, lightly acidic soil is considered best for its growth although alkaline beach-sand type soils can sometimes also be used. The flowers, its most attractive trait, grow in a “cauliflorous” habit. The fruit is used for myriad purposes ranging from being consumed as a fruit to being used in the preparation of jams, tarts, strong wines, and liqueurs. 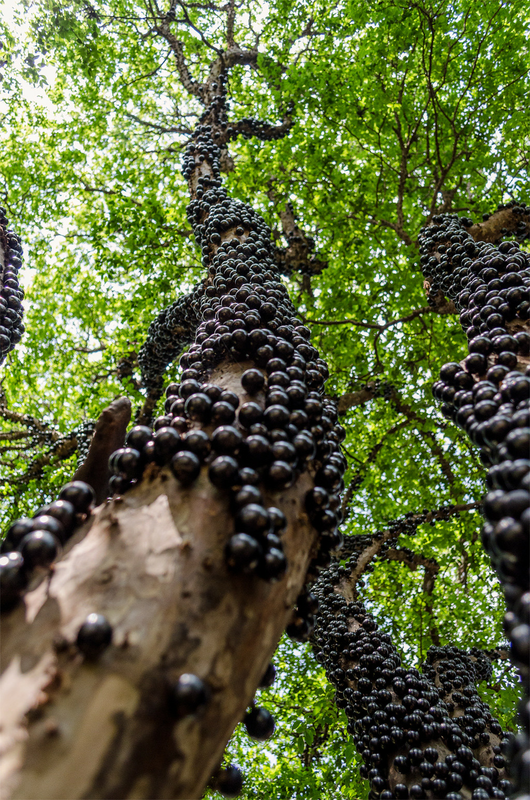 Jabuticaba’s are to Brazil what grapes are to United States. 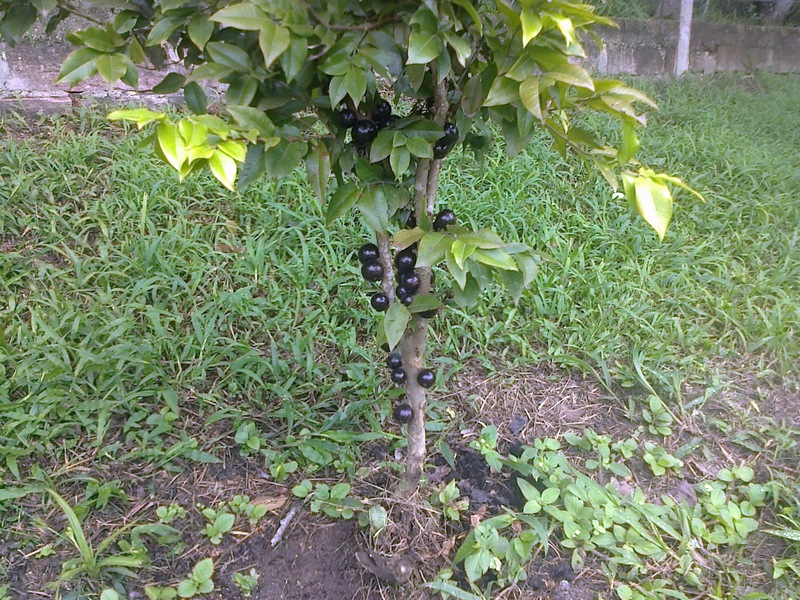 One potential issue, however, with fresh Jabuticaba fruits is their extremely low shelf-life(maximum 3 days) because of which they are rarely found in places outside the vicinity of their cultivation areas. Another highly important advantage of growing these trees is that several antioxidants and anti-inflammatory anti-cancer compounds have been isolated from their fruits. Furthermore, it is found to be immensely helpful in treating respiratory conditions such as asthma, treating diarrhea and arresting hair loss. Due to its good vitamin and mineral content, it makes an excellent tonic and strong detox foods. These are also used as a good replacement of proteins for people following a vegetarian lifestyle.